Every healthy human being has five senses –the ability to see, speak, taste, touch and listen. The loss of any of these five senses can drastically impact quality of life. It is imperative that great care and precautions are taken in order to protect them. 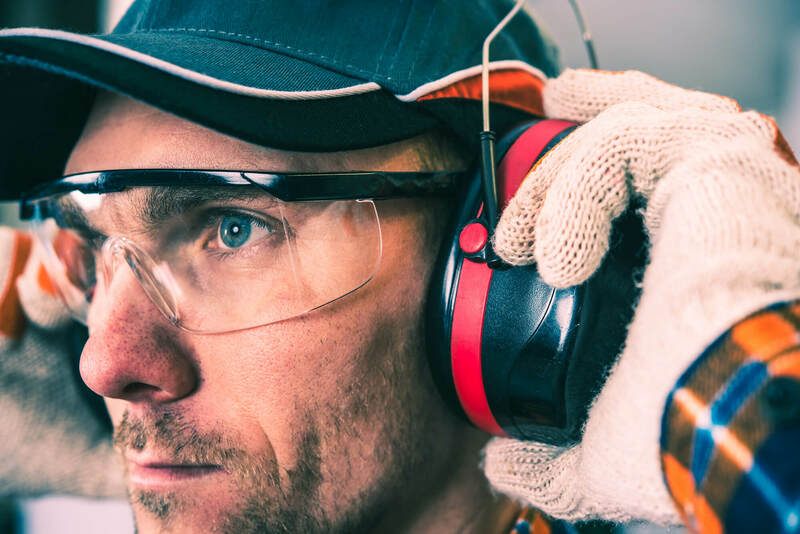 Specifically in work settings with extremely loud noises or sharp lights, it’s important to protect both your ears and eyes. Most people tend to give more importance and protection to their eyes, but your ears are just as important. Therefore, it is necessary to opt for hearing protection equipment especially in particularly loud workplaces such as construction sites and steel mills. How many people are affected by hazardous levels of noise in workplaces? Being the third most common chronic disorder afflicting Americans, hearing loss affects over 12% of the working population in this country. Out of the 30 million workers working in conditions which can harm their ability to hear, 12% is an extraordinarily high number which reflects the severity of the issue. Hearing impairment is not only caused by exposure to elevated noise levels for extended periods of time but exposure to certain hazardous chemicals can also contribute to hearing problems. Any harm caused to the workers or employees will not only hamper the productivity of a company but also increase its liability. Under state law, business or company owners are required to create a safe workplace environment for all their workers. Any harm or injury incurred by the employees due to an unsafe workplace environment can potentially cost the company thousands, even millions of dollars. Therefore, it is imperative to take preemptive measures to ensure the well-being of all employees working in an organization. As hearing loss or impairment is deemed to be the most common workplace injury in the US, it is vital that companies take measures such as providing ear muffs and ear plugs to their employees. The investment in safety gear such as hearing protection would help the company avoid compensation suits. In order to diminish liability and decrease the chances of workplace injury, it is important to invest in quality and effective risk management solutions. For more information on this topic or to find out more ways through which you can diminish your company’s liability by investing in risk management solutions contact Suburban Insurance by calling at (630) 325-4000.